Specializing in domestic and international taxation, we pride ourselves on providing excellent client service with a proactive and personal approach. 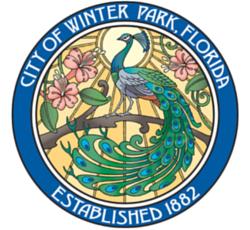 Ferrell & Kelly is a full-service CPA firm located in Winter Park, Florida, where we take the time to know our clients and their unique tax scenarios. We offer domestic and international tax planning, consulting, and tax preparation. In addition, we offer a variety of accounting services for both individuals and businesses, especially privately owned or closely-held companies. Because Ferrell & Kelly CPAs strive to take the stress out of taxes, we guide our clients through an array of tax planning and preparation decisions with the ultimate goal of minimizing tax liabilities. At Ferrell & Kelly CPAs, we realize that this is not a “one size fits all” world… and we deliver our services accordingly. Most noteworthy, we have carefully built a reputation on personalized attention and exceptional customer service. The collective experience and knowledge of our professionals give Ferrell & Kelly CPAs the expertise to provide you with intelligent, long-term strategies for success. As a result, we consistently provide taxation counsel that is timely, effective and competitively priced. Together with our investment advisory affiliate, Ferrell Wealth Management, Inc., we provide comprehensive, cohesive services to meet most business and personal financial needs. Client focused. Knowledgeable. Exceptionally-qualified. Providing peace of mind. This is not a “one size fits all” world … and we deliver our services accordingly. ©2019 Ferrell & Kelly, LLC. All rights reserved.